﻿﻿In the hysterical spring of 1983, when the media coined Provincetown “Ghost Town” in the midst of an accelerating HIV/AIDS epidemic, the community was angry and scared. 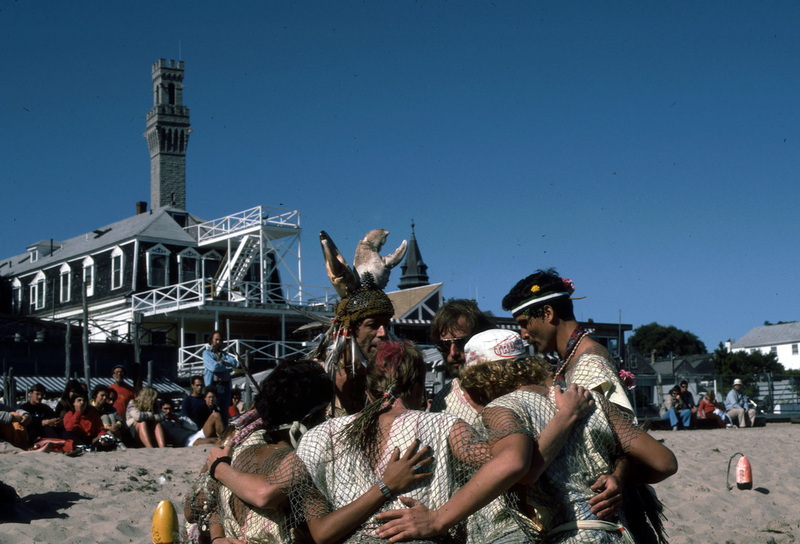 The town had been portrayed on televisions across the region as a contagious seaside epicenter of empty beaches.In September of the same year, Jay Critchley, in collaboration with choreographer Paul Fonseca, organized a group of friends to create a ritualistic healing ceremony on the harbor beach in response to this mysterious disease. Hundreds attended the Immunity Mandala, the nation’s first public performance piece in response to HIV/AIDS. O God of the Universe, give our community the strength and resilience to continue our upward movement on this fragile, spiral, spit of sand. Give us the strength and pride shown by the women of this community who have many times stood on this shore in vigil—in silence—waiting for their beloved fishermen—who often did not return. Through this mandala offering, we gather together, and pray for health and wholeness, especially for those suffering from unknown and strange diseases, that each of us may continue to rejoice in hope and celebration with the life cycles around us, and for our short, but exuberant life. 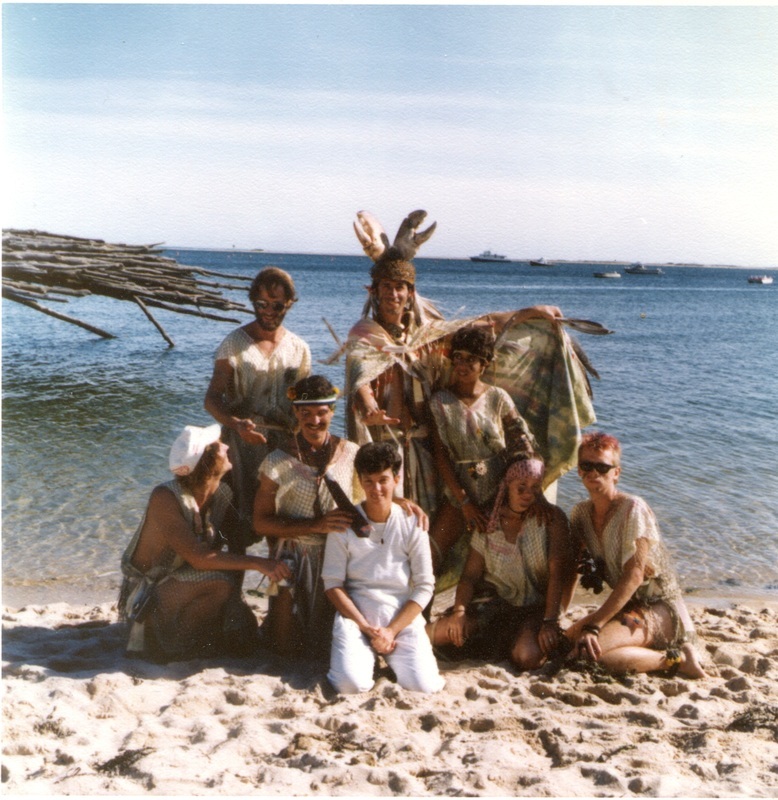 Immunity Mandala; Carol Pugliese producer from Provincetown Community TV on Vimeo.